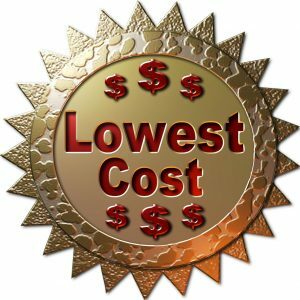 Want to Know the Lowest Cost of Shipping Art? Consider ARTA! At Fine Art Shippers, we know that the cost of shipping art usually plays a crucial role in selecting the art logistics company. For this reason, we are happy to offer our clients the lowest rates for high-quality services possible. Moreover, this applies not only to fine art handling and shipping services that we offer in the United States but also to all the services that we offer in the UK, France, Russia, Germany, China, and other countries worldwide. However, do not take our word for it! You can always request a free shipping quote and compare it with those offered by other companies. The only question is how to do it in the easiest and most efficient way? ARTA can help you with that! How to find out the lowest cost of shipping art? Obviously, you need to compare quotes from different companies, and ARTA can streamline this process as much as possible. This innovative online platform was launched by Adam Fields with the aim to bring transparency and efficiency to the world of art logistics. For today, ARTA collaborates with over 350 specialized fine art shipping companies from around the world, giving galleries, dealers, artists, and collectors a perfect opportunity to receive shipping quotes from different service providers in only about 24 hours so that they could compare them and choose the one that suits their needs best. It is indeed a fast and easy way to find out the lowest cost of shipping art. Highly recommended!